The focus is on fundamental development based on each player's ability, and physical makeup. We also address golf-specific stretching and exercises, club evaluation and fitting, and course management. Whether a low handicapper or beginner, our staff can improve your game. 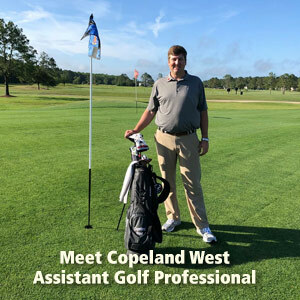 Contact Wes Tucker, Tommy Aycock or Copeland West to take your game to another level! Options Include: Practice Area Instruction, On-Course Instruction, 9-Hole Playing Lesson, Half Day and Full Day Session. All based on space availability. Hourly Rates with Group Rate Discounts (see above) will apply. Learn the game of golf or hone your existing skills from full swing instruction to short game! 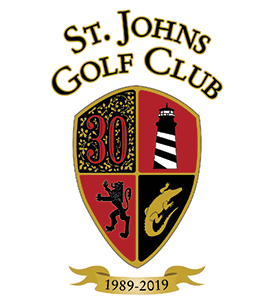 St. Johns Golf Club hosts weekly clinics open to players of all skill levels. Lessons and clinics are payable by cash or check only. For more information or to RSVP, call our pro shop at 904.209.0350 or email Tommy Aycock at taycock@sjcfl.us.